Considering the huge competition with almost daily new innovations and technologies developing at every corner of the world, it is extremely difficult but at the same time crucial for businesses to make a strong and attractive online presence amongst its potential target audience. We, at World IT Zone, are known to be the experts in this domain and is a leading digital marketing solutions company that can help your business by providing high end digital solutions which prove to be highly ingenious and beneficial for your business overall growth. 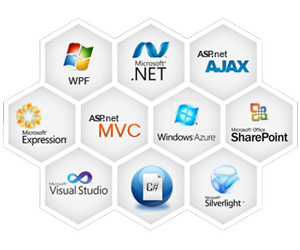 Customized Website Solution: We Are Customizing Web Application As Per Project Requirements. At World IT Zone, we take the most effective and efficient measures to make sure that your online infrastructure is running smoothly and is a safe and secure online platform. We also customise our digital solutions offerings as per our business client’s prerequisites and business requirements, considering the industry domain and complexities involved. World IT Zone always focuses and emphasises on making use of the latest technology and innovations happening in the digital arena to help the businesses to stay updated with the on going digital and technology norms. Our web application development services are also capable of running smoothly on cross functional platforms and digital modes. 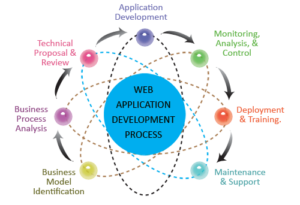 What is so special in our Web Application Development Process? Crystal Clear Workflow: We follow a transparent working ethics approach and environment to avoid any in discrepancy involved in the overall process of web development. Used Latest Technologies: All the digital and web applications developed and delivered by us are framed and modulated by using the latest of technology and innovations in the industry. Prettier feel of Web: We make the most attractive, creative, professional and over the top web application developments that enables the businesses to have a stand out approach from the competitors in the market. Semantic use of HTML: All our web app developments and digital services make the best and semantic use of HTML. Proper Testing: We deliver the assigned projects only after a detailed and proper testing to see if it successfully passes all the stages.